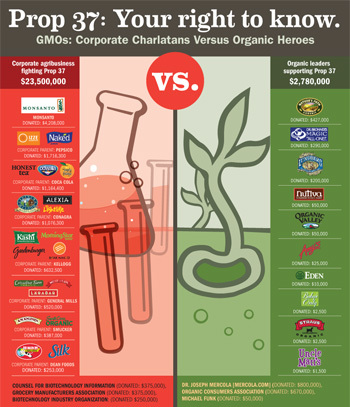 You are here: Home / Events / YES on Proposition 37-LABEL GMO FOODS!!! YES on Proposition 37-LABEL GMO FOODS!!! Farmers overwhelmingly support Prop 37. They agree that we have the right to know what they’re growing for us. In fact, more than 2,000 farmers and agricultural organizations say Yes on 37, including the National Family Farm Coalition, the California State Grange, and California Certified Organic Farmers. Monsanto and the rest of the Big 6 pesticide companies are no friend to farmers, so they hide behind people like Ted Sheely in their Million Dollars a Day television ads. Sheely grows genetically engineered cotton in the San Joaquin Valley on his 8,700-acre farm. At least we suspect it’s genetically engineered cotton. Food companies aren’t required to tell us, even it winds up in our food as cottonseed oil. Ted appears in one of the many TV ads deliberately lying to California voters about Proposition 37. The ad featuring Sheely asserts that Prop 37 will raise food costs by “billions of dollars”. There is no independent evidence—nor coherent logic—supporting that claim, of course. Prop 37 simply requires a label on genetically engineered foods, which will cost consumers, well, nothing. 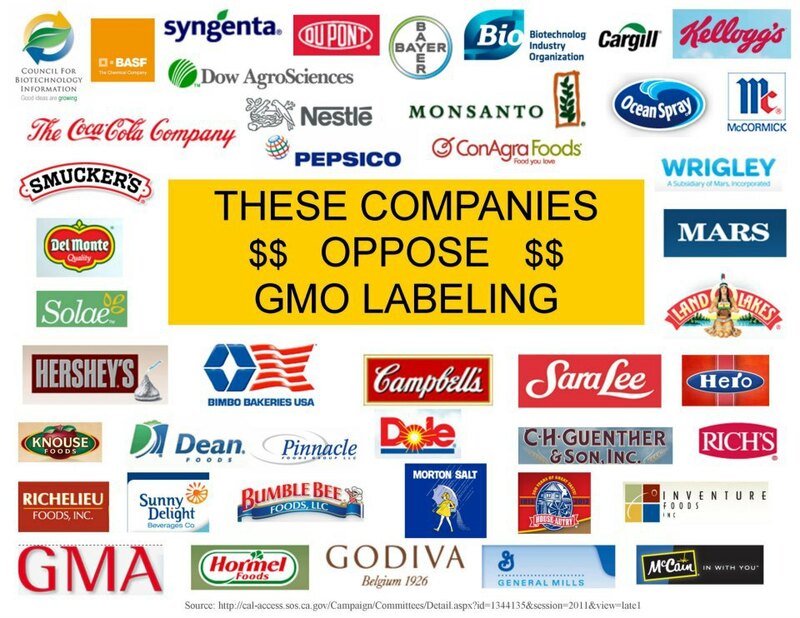 Food companies change their labels every 6-12 months on average; Prop 37 gives them 18 months. Our pesticide and junk food industry opponent’s have one central goal behind their Million Dollar a Day ad campaign: steer voters away from the irresistible notion that we have the right to know what’s in the food on our grocery store shelves. Let’s steer voters back to this simple truth. Speak the Truth by talking to California voters via our phone bank or in person. Sign up tovolunteer here. Share the Truth after reading today’s new blog about why farmers–including GMO farmers—support Prop 37. And then post it on Facebook and/or Twitter. Fund the Truth with a donation today. This will help us put our own TV ads on the air. We can do this. 15 days! Few are aware of the larger Food Production Efficiencies context in which GMO’s are clearly not humanity’s best choice. The following research link will provide details for those wishing tools for a productive, abundant food system.